Obituary for Michael Maurice Harmon | Jolley Memorial Chapel, P. A. 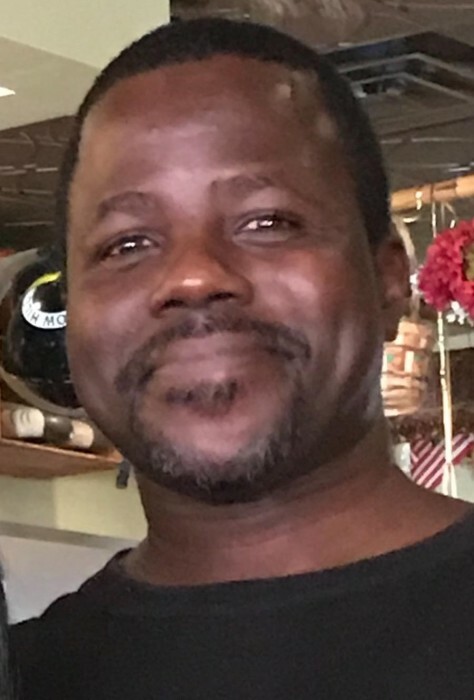 Snow Hill – Michael Maurice (“Jawbone, J-1”) Harmon, 45 died Sunday, March 31, 2019, following an ATV accident. Born in Chester, PA, he is the son of Tyrone Beauford, Sr. of Chester, PA and Annette Harmon of Snow Hill, MD. He was a 1991 graduate of Snow Hill High School where he excelled in football. He was employed with various companies, but his last employment was with Paul Jones Lumber Co. of Snow Hill. Besides his parents, other survivors include: seven siblings: twin sister: Michelle Harmon and Sharmaine Beauford, both of Snow Hill, Tyrone (Bunk) Beauford, Jr. of Pocomoke City, MD; Tammy Mosley Beauford, James “J.D’ (Kiyshela) Thomas, Nija Robertson and Johnathan Cheers, all of Chester, PA; four uncles: Edward Lee (Terry) Johnson, William (Sandra) Harmon, Thomas and Frederick Beauford; great aunts and uncles: Carolyn Conner, Barbara Holland, Raymond “Pete” Johnson and Oliver (Sylvia) Conner, several nieces, nephews, extended family and friends. A funeral service will be held 2:00 pm., Saturday, April 13, 2019, at Snow Hill Middle School, 522 Coulbourne Lane, Snow Hill, MD where friends may view two hours prior to service. Interment will be in Mt. Wesley (New) Cemetery, Scotland Road, Snow Hill, MD.